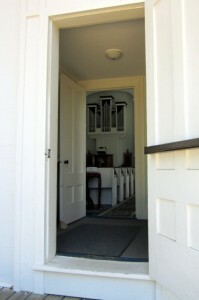 New organ from the porch. 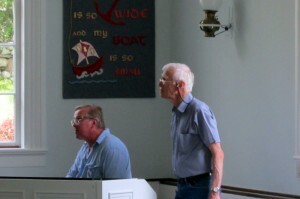 Russell Organ Company, Stephen Russell and his assistant, Larry Nevin, did the final work on the installation. 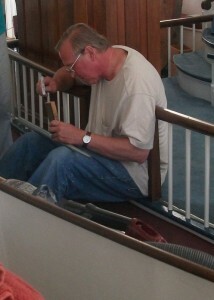 Bob Conway watches pipes being installed . Some of the tools needed. 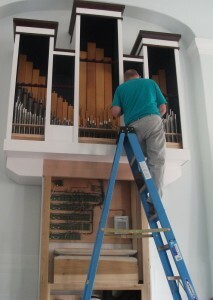 Larry tunes pipes as installed. 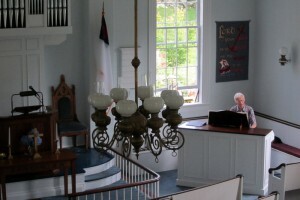 Stephen Russell at console. 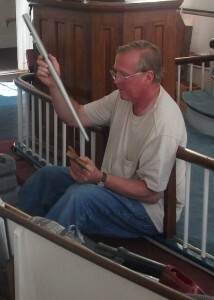 Phil Dietterich and Stephen Russell listen to tone as Larry adjusts pipe. 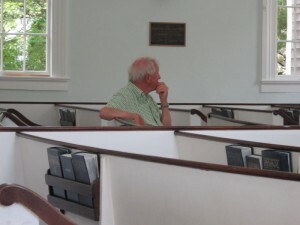 Bob Conway watched the whole installation when he wasn't buying wire or paint in Vineyard Haven. 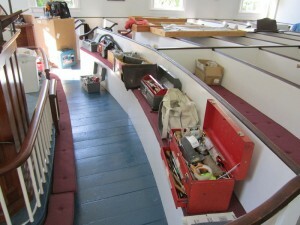 One hour till boat reservation…on goes the front panel of the wind chest. 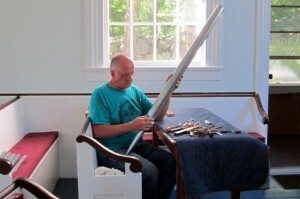 Phil Thursday afternoon, studying the new instrument. 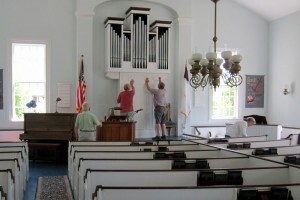 Phil, member of the Organ Committee helped choose the instrument, a reproduction of a Russell organ played during the search. 1-12 Electronic.1 1-12 Common Bass from Gedeckt 8’ plus Rohrfloete 4’.2 Common bass from Gedeckt 8’. This entry was posted in Organ on July 13, 2012 by admin. Thank you so much for the lovely time on the Vineyard. 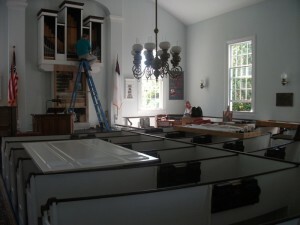 The pipe organ was a pleasure to build. 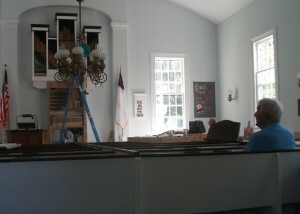 I hope it gives many, many years of faithful service. Hope to see it and you all again soon. Take care and God Bless.